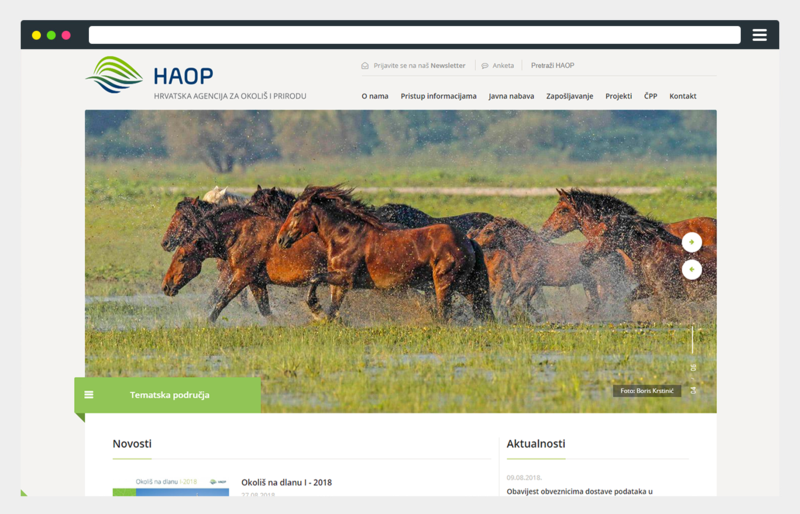 Thanks to Perpetuum’s team, the Croatian Agency for the Environment and Nature (HAOP) has a new website, developed on a reliable and flexible platform. 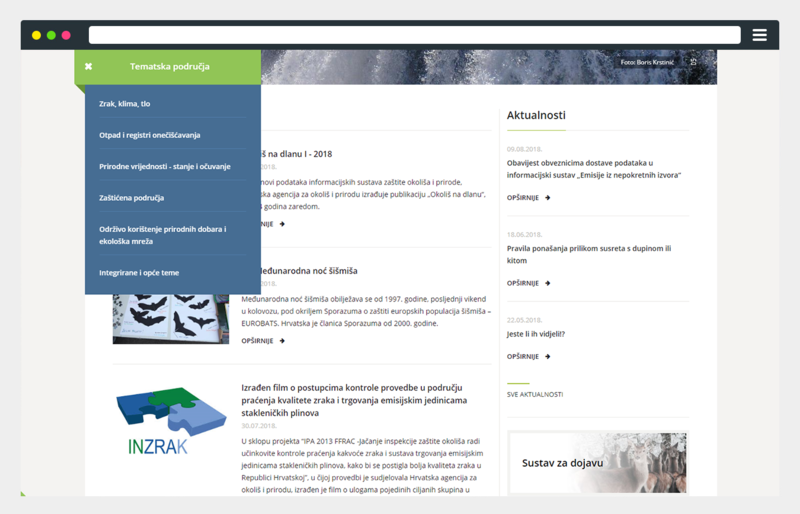 The Croatian Agency for the Environment and Nature was created through a merger of the Agency for the Protection of the Environment (AZO) and the State Institute for the Protection of Nature (DZZP), after which it assumed the work of both former institutions, collecting and integrating data and information about nature and the environment. Naturally, the previous websites were no longer appropriate for the new Agency, so it was necessary to design and develop a new one, migrate the current contents onto a reliable and flexible platform, and make sure it could be properly managed in the future. 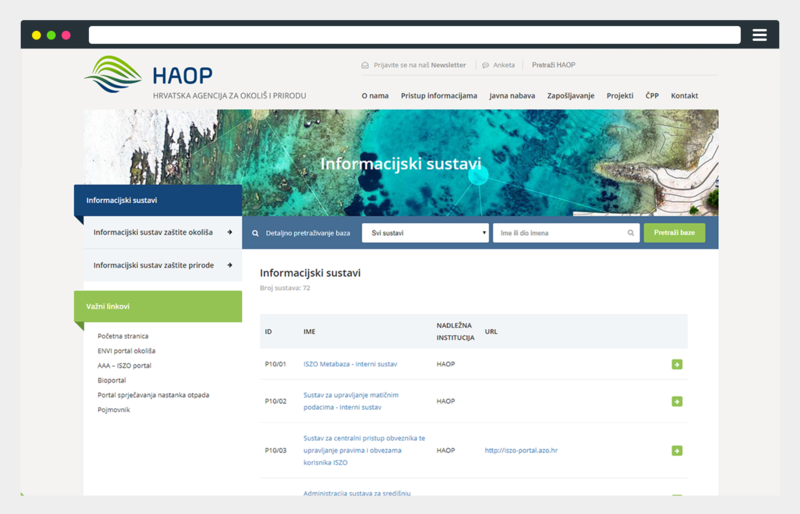 Users of the new website have different backgrounds and interests: citizens, journalists, environmental and nature specialists; companies and representatives of companies authorized to perform certain activities within the domain of HAOP; and employees of the Agency itself. It was, therefore, necessary to choose an appropriate technical platform and adapt the design to meet the needs of such a broad range of user profiles. Our choice was iSite Open, Perpetuum’s own web solution based on the Drupal content management system (CMS). A key feature of this solution is that it can be extended by using different modules, and it is completely open for further development according to what is needed. One of the best features of iSite Open is the ability to manage the website, without the intervention of an IT expert or designer. 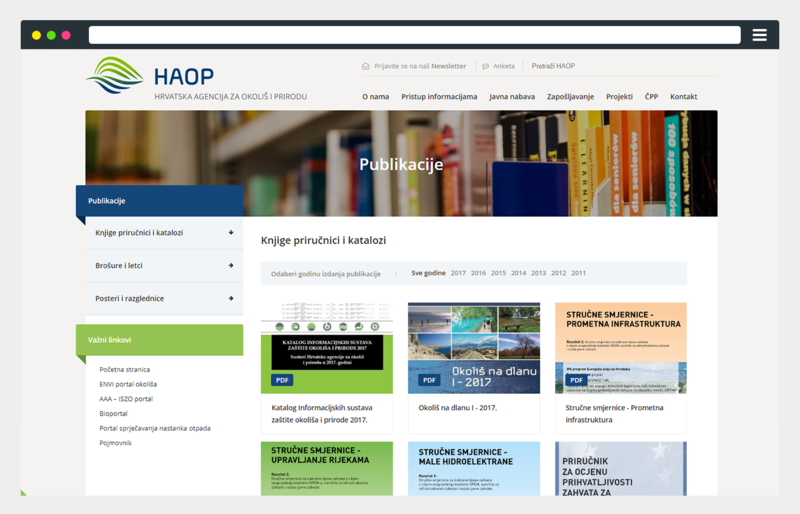 The HAOP website is unique in that it integrates many different databases, registers, and information systems such as the ENVI environmental portal, the Waste Prevention Portal, and Bioportal. It was a great challenge to present content that differs according to structure and the different user profiles it is intended for. However, iSite Open proved to be the right solution here because it allows for a clear overview of the basic information about HAOP's databases and registers, as well as easy access to each one. Another important aspect of this website is that it provides professional articles on topics and issues concerning the air, climate change, the ground, waste management, the preservation of natural values, ecology, and the sustainable use of natural resources. In addition, the various publications that, thanks to Perpetuum’s designers, are accessible on the website and are easily downloaded, are an extremely useful source of information for users.